A great learning management system shouldn’t be an island. By integrating applications you already use, or intend to use, in your organization, you’ll get the most value and efficiency out of your LMS. There are many benefits to LMS integrations. Working with systems your users are already familiar with increases user engagement and delivers a better user experience. LMS integrations save time, reduce manual tasks, and also offer an increased range and depth of reports. The more integrated your systems are, the easier it will be for individuals, teams, and departments to do their jobs, collaborate and achieve their goals. In this post, we’ll delve into the most useful LMS integrations available. Single Sign-On, or SSO, enables users to access multiple services and applications using the same credentials. An example of such credentials could be an employee number or email address. It works through authentication and authorization. Authentication is the process of ensuring the person logging in has the correct credentials, while authorization allows access to the appropriate content as approved by the administrator. Some of the benefits SSO provides include reduced risk, a decline in password fatigue, and reduced IT costs. Here are just some of the SSO options available through LearnUpon. How the integration works: Our integration with Microsoft Azure AD makes it easy for LearnUpon customers to manage user access and enable SSO with Microsoft applications like Office 365. Users simply log in to LearnUpon using their organizational accounts hosted in Microsoft Azure AD. Why you should integrate: The LMS integration makes it even easier for learners to access and use their LMS securely. Admins enjoy a simple step-by-step user interface to configure the integration. 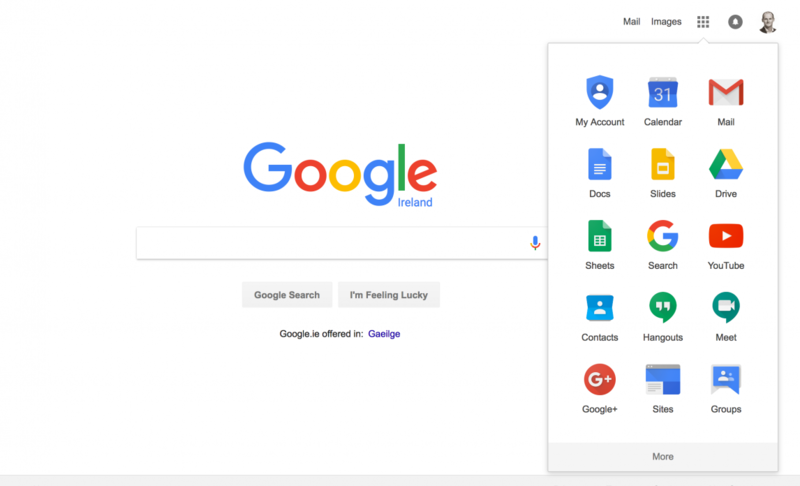 How the integration works: By placing LearnUpon in the Google app launcher, employees get effortless access to the LMS through their Google ecosystem in the same way they access their other Google apps, like Calendar and Drive. Why you should integrate: This integration will help to increase training program adoption, while also boosting the regular use of your LMS. As many organizations already use GSuite, accounts can be linked to the LMS effortlessly. How the integration works: Okta uses Security Assertion Markup Language (SAML), a mechanism for asserting that a user is who they say they are before granting them access to a particular application or resource. Why you should integrate: An Okta integration offers many benefits, including the ability to create new users or upgrade existing users within the application, and the capability of syncing your users with group memberships that are linked to enrolment. An API provides an interface that allows developers to interact with applications and programs. Each API has a set of credentials, known as keys. Similar to a username and password, these keys allow developers to use an API to interact with the data in your LMS. An API speeds up processes by automating time-consuming manual steps. Essentially, it saves admins from having to manage the process manually, or via batch file uploads. A good example of an essential API integration is a HR system. How the integration works: Integrating your HR system with your LMS works by ensuring employee’s data is synced across both platforms. Important information such as titles, office locations, departments, training histories, and more, is easily kept up to date through this integration. Why you should integrate: It’s time efficient, as it saves admins having to reenter the same information across multiple platforms, and it reduces the risk of discrepancies. New employees are automatically added to the LMS via this integration and enrolled in the training they need to complete. Key data transfers: User profile information, group membership, learner progress, and completion history. A CRM, or customer relationship management system, helps manage customer data. Through a CRM, it’s easier to track your organization's interactions with current and potential customers. A CRM also helps ensure efficiency and facilitates communication between teams and departments while optimizing sales. 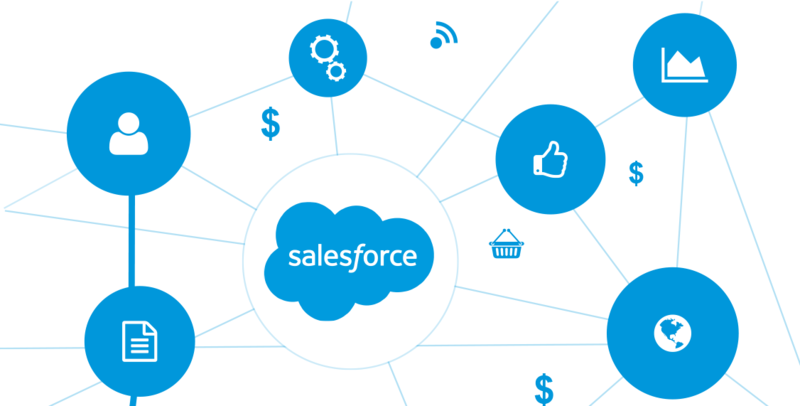 How the integration works: When integrated with LearnUpon, customers can access all of their training data directly within Salesforce’s platform. This means that information about learner actions like enrollment, commencement and completion automatically syncs in real-time between LearnUpon and Salesforce. Why you should integrate: If you already use Salesforce, integrating the platform with your LMS is a no-brainer. The main benefits are an improved user experience and lots of useful reporting options. To access LMS features, users simply click on a learning tab in Salesforce, without needing to log in to LearnUpon or even leave the Salesforce platform. As learners access training materials, videos, and exams, all tracking and completion data is available to admins in Salesforce itself. Webhooks send notifications, so they’re perfect if you need to be notified of an event as soon as it happens in your LMS. For example, you can be notified when a course is completed, or when a learner fails an exam. How the integration works: Integrating with webhooks allows you to customize and automate eLearning processes. You’ll find webhooks most useful if you want to access real-time information. As soon an event occurs, your LMS will use the webhook to notify you in real time. You can then use information forwarded with the webhook to update or create additional actions elsewhere in a separate website or application. Why you should integrate: Our customers use information pushed by webhooks to automate reports and flag important learning events in related applications. When delivering courses that contain webinar sessions, it makes sense to have access to all your data in one system. Integrating your LMS with a webinar tool saves you time and effort. How the integration works: Integrating your favorite webinar tool with your LMS is easier than you think and can be set up in a matter of minutes. In the settings section of LearnUpon, you’ll find the option ‘Webinar Integration’. You can choose one or more to set up, click add, and follow the simple on-screen instructions. Why you should integrate: Integrating will reduce duplication of work and automate time-consuming tasks. Scheduling sessions, registering attendees, and reporting attendance can all be done from the one place. By integrating your LMS with an eCommerce tool, you’ll have the ability to sell online courses and in-person training events online. With LearnUpon, you can configure your eCommerce Storefront in minutes, apply your branding, and avail of sales reporting. How the integration works: LearnUpon customers can integrate their LMS with Shopify, the world’s leading eCommerce platform. The integration allows customers to link courses in LearnUpon directly to their own products in a customized Shopify store. Why you should integrate: The LMS integration makes starting an eLearning eCommerce venture simple – it takes less than two minutes to set-up the integration. How the integration works: If you decide to sell online courses, you should offer prospective customers user-friendly payment options. That’s the goal of our LMS integrations with PayPal, Authorize.Net, and Stripe. Why you should integrate: Choose the payment gateways that are most popular with your customers to deliver a secure and simple shopping cart experience. How the integration works: You can measure your store’s performance to enhance user experience and boost eCommerce conversions by integrating your LMS with Google Analytics. This will give you access to powerful data including which channels customers use to reach your store, how visits fluctuate by day of the week and hour of the day, and which courses are the most popular. Why you should integrate: Measuring the performance of eCommerce initiatives is essential to determine if the work you’re doing is valuable, and what kind of return on investment you can expect. Analyzing the information tracked in Google Analytics ultimately helps you to increase course sales. Key data transfers: Page click tracking, page views, and lots more. Social media has become an intrinsic part of our everyday lives, so it should be an integral part of your LMS too. Through social media integrations via your LMS, you’ll be presented with new opportunities and the ability to network, identify trends, and formulate a social media strategy. How the integration works: Learners who successfully complete courses will be able to display and share their certifications via their LinkedIn profile. Why you should integrate: LinkedIn reports that users who display certification achievements receive up to six times more profile views than average. Our LinkedIn integration also allows those who deliver training to promote their certified courses. Every time a learner shares a certificate with their followers, it builds awareness about your eLearning offerings. How the integration works: Integrating with Twitter gives course providers new opportunities to communicate with users and promote their courses. LearnUpon customers can embed their Twitter feed in their eCommerce store or on the dashboard of their LMS. Learners can also use the Twitter integration to tweet about the courses they’ve successfully completed. Why you should integrate: Embedding your Twitter feed will help learners and prospective customers to stay up-to-date with company news. Enabling learners to tweet about course completions is a win-win. It adds social proof to your marketing efforts and helps learners to share news about their achievements. A Learning Record Store, or LRS, is a data storage system that serves as an archive for learning records gathered from connected systems where learning activities take place. An LRS is an essential element of any xAPI environment. How the integration works: An LRS works with xAPI to collect, store and retrieve data on a diverse range of learning experiences. Integrating with an LRS means that xAPI statements can be retrieved for reporting and analysis of learner data as they’re needed. Why you should integrate: An LRS gives you more options for reporting on and crunching, that xAPI data. Integrating your LMS with an LRS also helps data to be presented in a way that’s accessible and easy to interpret. Key data transfers: xAPI statements. So that rounds off our list of essential LMS integrations. Each one offers different benefits but ultimately they all make managing, delivering and tracking training more efficient.